Does your research touch on ideas of music in the medieval or early modern period as portrayed via myth or story (broadly defined)? Samantha Bassler and I are working on an edited collection of essay on this topic and would welcome your proposals (deadline 28 February). Throughout this period, stories about music found in classical mythology, ancient history, biblical episodes, bird-lore, and more contemporary anecdotes were all treated as foundations for musical knowledge (of moral or philosophical kind, if less frequently practical or theoretical). Whether treated allegorically or as traces of early history, they were cited to support arguments about the uses, functions, effects, morality, and preferred styles or techniques of music, and appeared in sources including theoretical treatises, defences or critiques of music, sermons, educational literature, and books of moral conduct. As well as these more philosophical or intellectual treatments of musical myths, there were also literary ones. Drama, poetry, and song not only took inspiration from mythological stories, but also created their own plots and narratives which communicated particular perspectives on music’s roles and values. The way in which authors interpreted and weaved together these traditional stories can reveal much about changing attitudes to music across the period. change and continuity in the repertory and interpretation of myths/stories about music, including the consequences for concepts of Medieval and Renaissance musical cultures. Other suggestions related to the overall aims and themes of the collection will be considered and proposals are also encouraged from disciplines other than musicology. As an arachnophobe the last thing I thought I’d end up writing about was spiders. Yet, having had to get over my reluctance to even pick up a book with a spider on the cover, that is exactly where my current project exploring musical myths has taken me. In late-sixteenth century England a tale began to circulate concerning music’s ability to cure the bite of the tarantula, a particular type of spider found in the Apulia region of Italy. The tarantula’s poison might cause various effects in the victim – including laughing, weeping, silence, sleeping, raving and calling out, delusions, melancholy, fearfulness and numbness – according to the temperament of either the patient or the spider. No cure was to be found, except music. Musicians had to find the right tune to match the temperament or the patient and/or the temperament of the spider (which was also believed to dance to a specific tune) and once the correct tune was identified the patient would begin to dance until the poison was expelled. The patient would be cured, but the illness would recur each year, requiring the same musical cure until, it was often said, the tarantula that had caused the bite died. Numerous books catalogued the tales of individual victims, including Athanasius Kircher’s Magnes siue de arte magnetica (Rome, 1641), which famously transcribed some of the curative tunes (see above). But why was this story about an Italian spider significant in England? Here’s a little taster of what I’ve been finding out. The myth was probably brought into England via Castiglione’s Il Cortegiano (1528) and began to circulate widely following Thomas Hoby’s English translation (1561). As it concerned a remote corner of Italy few Englishmen were likely to visit it was as exotic and marvellous as tales from Classical mythology and it especially captured the imagination of courtly writers at a time when all things Italian were in fashion at the Elizabethan court. Sir Philip Sidney, for example, uses the tarantula as a metaphor for falling in love in The Countesse of Pembrokes Arcadia (1590): the word ‘lover’ pierces Pyrocles just as music touches the victim of the tarantula, so that his body and heart ‘seemed to dance to the sound of that word’. The sting of Cupid’s arrow causes lovesickness just as the tarantula bite causes the victim to lose control of mind and body. Although Sidney provides no musical cure for his character, the tarantula myth was most obviously an example of music’s healing powers, a particular fascination for physicians and natural philosphers in seventeenth-century England. In the early modern world, the most common explanation for illness was an imbalance of the four humours (black bile/melancholy, yellow bile/choler, phlegm and blood). As wellbeing required keeping the humours in balance, musical metaphors were common, with health regarded as ‘but a harmony of temperament and sicknesse a dissonancie’ (Virgilio Malvezzi, David Persecuted, 1650). Furthermore music was widely recognised as a cure for madness, melancholy (including lovesickness) and as able to drive out demons (another potential cause of illness). For the tarantula bite, music’s curative powers depended on the effects of its vibration of the air when transferred to the body via the ear. Physician Walter Charleton described the venom as conveyed by a ‘thin, acrimonious and pricking Humor’. The harmonious movement of air caused by the music was received by ears, transported by the spirits until it agitated the humour carrying the venom. This made parts of the body itch, causing the victim to dance and the ‘pricking Humour’ to be sweated out (Physiologia Epicuro-Gassendo-Charltoniana, or, A Fabrick of Science Natural, 1654). Not only did this story about physical disease (a tarantula bite) serve as a metaphor for a mental affliction (lovesickness), but it also become a favourite of religious writers concerned with music’s ability to cure diseases of the soul. The anonymous ‘University Pen’ who wrote The Spiritual Bee (1662) interpreted dancing as an immoral symptom of the bite rather than the cure. This was typical of how the tarantula became a symbol for various kinds of earthly transgressions, including drunkenness and frivolity. Furthermore the author considered the case of the tarantula victims who die laughing if not cured by music to be ‘much the same who are bitten by that Infernal Serpent; All whose years are spent in mirth, and their days in laughter, but in a moment they goe down unto the grave’. This comparison of tarantulas with Satan was helped along by a certain amount of confusion in England over precisely what kind of a creature the tarantula actually was. As well as a spider it was variously described as a lizard, a fly, an eft (a small lizard-like creature), and a serpent. The last of these offered obvious comparisons with the serpent of the Garden of Eden and by extension with the Devil himself. The musical cure was paralleled in The Spiritual Bee with the harmonious voice of God (‘that wise Charmer’) who can cure the ‘exorbitances and profusenesse of our spirits in wordly delights’, in effect rebalancing the temperament of the soul. The story of the tarantula bite and its musical cure was received unquestioningly in England until the investigations of the Royal Society in the 1670s. Their confidence in the phenomenon was shaken when they heard the opinion of the Neapolitan physician Dr Thomas Cornelio that tarantism had nothing to do with the bite of a tarantula but was simply the result of the hot, dry climate. 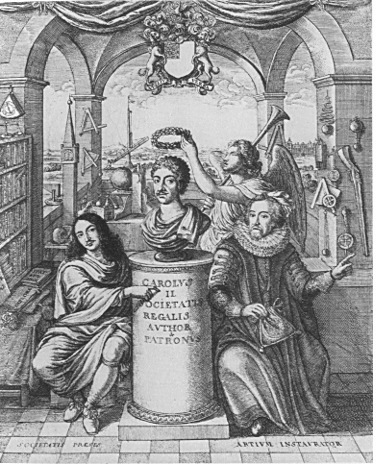 Yet despite the evidence of a fellow intellectual who had visited the region and studied the phenomenon, many scientists (including Robert Hooke and Robert Boyle) continued to believe the story. Interestingly, however, neither Cornelio’s demythologising nor Boyle and Hooke’s commitment to its veracity tell the full story. Modern studies of Tarantism have shown it to have been neither a legendary phenomenon, nor the effect of a spider bite, nor even a metal disorder, but rather a ‘culturally conditioned symbolic order’ in which a particular life crisis is symbolically remodelled as the bite of a tarantula and ritually controlled and exorcised through rituals of music and dance (De Martino, The Land of Remorse). Such a medical disorder with its musical cure fits uncomfortably within modern perceptions of health and disease, let alone those of the early modern England. Yet the tarantula myth nevertheless served as a emblem of music’s beneficial properties for mind, body and soul.